Amanita Design forum > Machinarium > General Machinarium topics > Machinarium Fan Art Contest! FAN ART CONTEST! Submit your creations before 31st July! 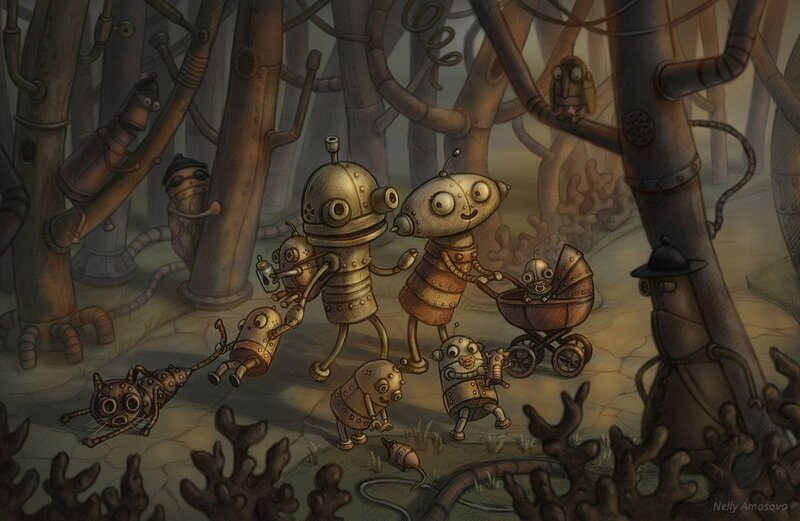 What do YOU think happened after Machinarium’s story ended? Show us! Did Josef and Berta get back together, or did it all go wrong? Set your imagination free. Need additional motivation? We’ve got some very cool prizes for you this time The 3 artworks we like the most will be rewarded with a package full of Machinarium goods. So what’s inside the package? Please submit your creations with your name and a short description to contest@amanita-design.net. The deadline is on 31st July! The 3 best artworks will be hand-picked by Amanita Design’s artists themselves. - Your submission needs to be original. Don’t send us other people’s works! Re: Machinarium Fan Art Contest! 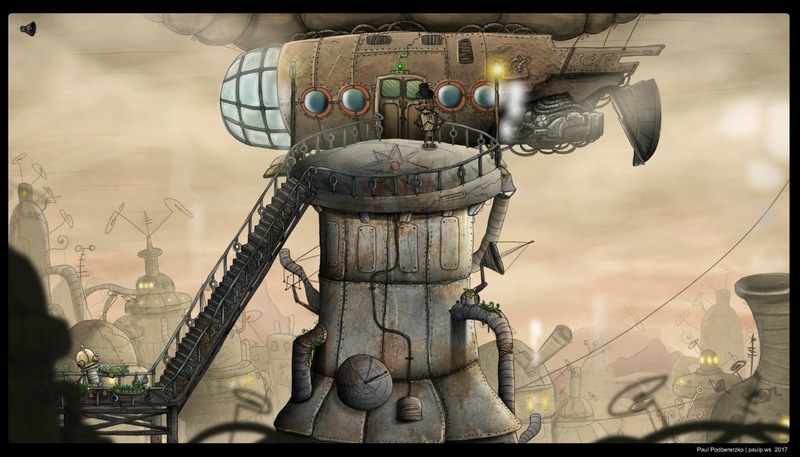 And, even though it's from 2013, let's not forget "Ballet Machinarium"! Machinarium Fan Art Contest Winners have been announced! This might be the darkest take on Machinarium we've seen so far. And we love it. The atmosphere of the picture perfectly matches the game, the lighting and drawing is top quality and although the topic is really gloomy, the artwork remains delicate. Nelly's artwork instantly became a serious contender for the award. The composition is very good and so is the lighting. The cute baby robots interacting with the environment make for a extraordinarily warm-hearted impression. Very lovely. 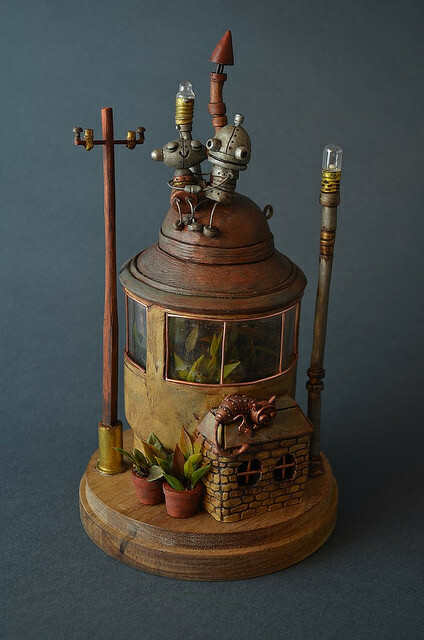 Every Machinarium fan would love to have this on their shelf. This phenomenal sculpture is very smart in terms of composition and stunning in terms of attention to detail. The idea of putting plants inside and robots on the roof works surprisingly well. I challenge myself to experiment the process of machinarium's illustration. The subject : What do you think happened after Machinarium’s story ended? The idea : The two robots catch Josef and Berta and bring them to a giant enigmatic robot who wants and needs to understand what is "their strength" who allow Josef to brave the tests in order to find his love. 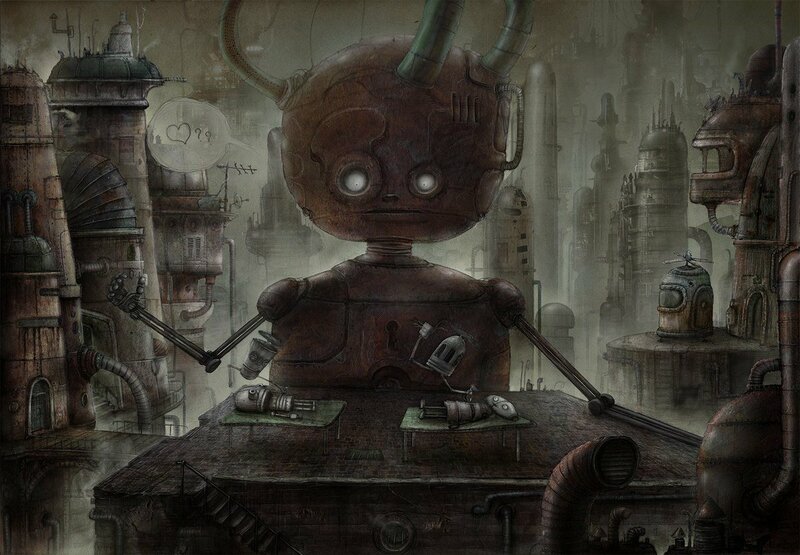 Machinarium Soundtrack 01 - The Bottom (Tomas Dvorak)"